It was only 3 weeks ago when I tweeted the news that I had submitted the final draft of my book, but it feels like a lifetime has passed between now and then. I guess most writers get to kick back a bit once they’ve made their copy deadline – indeed more than a few tweeps suggested I break out the champers on hearing my news. Not me. Since handing it in, my book has morphed from the carefully-constructed narrative about the digital counterculture that I spent the last 18 months crafting into a series of squiggles on pages, with varyingly deliquent bottom margins, kerning issues and em-dashes where there should be en-dashes (or is that the other way around?). Welcome to the world of self-publishing. Well, actually, “self-publishing” doesn’t quite capture it. Professional charming man Felix Cohen, who worked on openDemocracy’s Fight-back – A Reader on the Winter Protest together with Dan Hancox earlier this year, is doing most of the hard work wrestling the document I drafted into the various formats in which you will eventually read it (html, pdf, Kindle, print). And the super-lovely Damien Morris – the man who, incidentally, gave me my first paid writing gig ever, on the dance music weekly 7 magazine – is the book’s editor. Kathryn Corrick has provided invaluable marketing, as well as general, support. And Christopher Scally, who worked with the Open Rights Group to deliver the image we used on the Freedom Not Fear protest back in 2008, and who is a friend of longstanding from Brighton days, has crafted a fantastic set of illustrations from John Tenniel’s original Alice drawings that, in my mind, make the book. “Vanity publishing” also doesn’t quite cut it. For a start, I’m not paying any of the people mentioned above: for reasons still mysterious to me, they volunteered their contributions, on more than one occasion without prompt from me. What’s more, not counting labour (which is a ridiculous thing to say, of course, but stick with me for a moment) the upfront costs of publishing your own book are vanishing everyday. Thanks to platforms like Lulu, (our chosen supplier) Lightning Source, and the Amazon Kindle store, the entire process can be set up for less than a half-decent meal out. 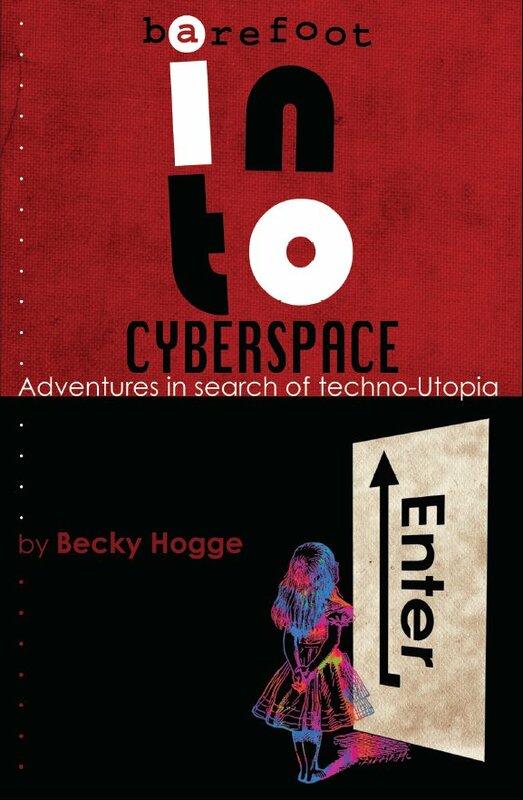 The phrase I’ve settled on to describe what we’re doing with Barefoot Into Cyberspace is “flash-publishing”. That’s mainly because of the feedback I got from real publishers when they read the first draft. They liked the writing (“incredibly well-written”, said one, “feels like something that should be in The New Yorker“, said another), but feared that by the time they had been able to put the work through their process, it would already be out of date. One publisher quoted 9-12 months as the average time it took them to produce a book, a timescale driven in part by retailer demands. If I had secured a deal in advance, things would have been different, as the publisher could have planned ahead. But it’s pretty hard to do that if you’re relatively unknown and you’ve never proven you can write a book before. But I wasn’t going to put Barefoot into a box and forget about it. I wanted to get this book out there for me, yes, but also for the intelligent, insightful and lovely people who gave me their time to be interviewed for it. 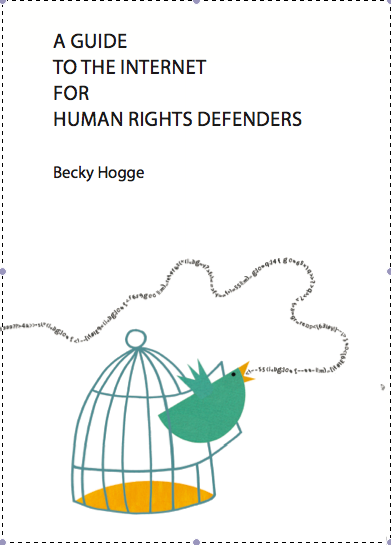 I’ve really enjoyed the freedom flash-publishing this book has offered me, and working closely with some of my favourite people to deliver it has been a joy so far. But that doesn’t mean that next time, I don’t want a publishing deal. It’s not just that I want to take writing books from a spare-time to a full-time activity, although that’s part of it. And it’s not just that being so closely-involved in the process this time around has shown me how much dedication and skill need to go into making a book from people other than its author, although that’s a big part of it too. It’s also that publishing your own work can sometimes make you feel a bit more dorky and self-conscious than even having someone else want to publish it for you probably feels like. Speaking about this to a coder friend, I found him surprisingly supportive. Code, unlike a book like Barefoot, generally meets a specific need. What’s more, although you can quickly tell whether code is good or not based on whether it runs and how buggy it is, judging the quality of the book you’ve just written is harder. So whereas shoving your code up on SourceForge is a good way of sharing it with people, shoving your book up on the web might not be. But we’ll see. The book is launching on 28th July, and I fully intend to man up between now and then. In fact, this will probably be the last time you hear me saying anything other than either “read my book”, “buy my book” or “my book is great” for the next two months at least. And I’m fully prepared to walk across the hot coals of critical derision that publishing your own book might be seen to deserve, because I do think that what I’ve written is worth reading. Yesterday was another landmark in the publishing process – Felix submitted the final book files to Lightning Source. What’s left to do (apart from needless panicking, which I’ve pretty much got covered) is to get the word out. Here I’m not unlike most authors with publishing companies behind them, in that the bulk of the work will be down to me. Please help me by spreading the word. And remember that, even though I look pretty confident walking into this scary, smart party wearing no shoes, inside I’m freaking out. This entry was posted in Barefoot Into Cyberspace, Observations. Bookmark the permalink. Pingback: Putting the Internet freedom movement into context: Barefoot into Cyberspace | It's like, Really?